Pro-Turkish Forces Seize Village From YPG West Of Manbij. Syrian Army Liberates More Areas From ISIS 3.7857142857143 out of 5 based on 14 ratings. 14 user reviews. On February 28, a coalition of pro-Turkish militant groups known as the Free Syrian Army (FSA) launched attacks against the US-backed Syrian Democratic Forces (SDF), predominantly Kurdish People’s Protection Units (YPG), in the Syrian province of Aleppo. 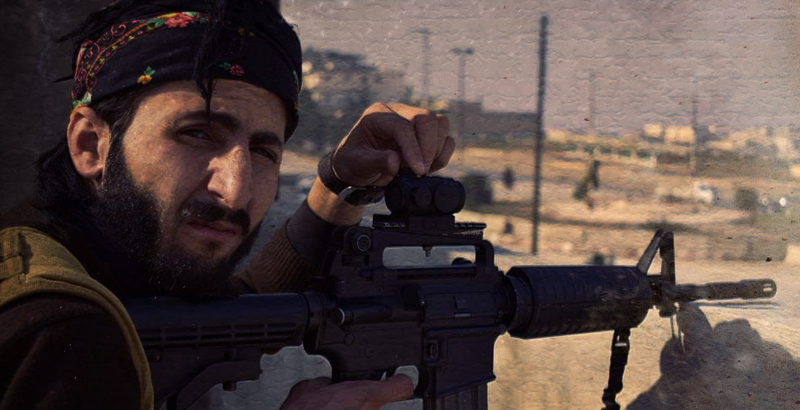 After a firefight, the FSA seized the village of Jubb al-Hamir from YPG force. FSA units also engaged Kurdish forces in Abu Hay but failed to capture this village. While pro-Turksih forces were attacking the YPG, the Syrian army and Kurdish units regained more villages from ISIS terrorists west of Manbij. The YPG seized the villages of Jubb Abyah and Al Birah. The Syrian army liberated Halisiyah and Amudiyah. SAA should be able to capture more villages to reach Assad lake.Most of them are almost empty of ISIS fighters. 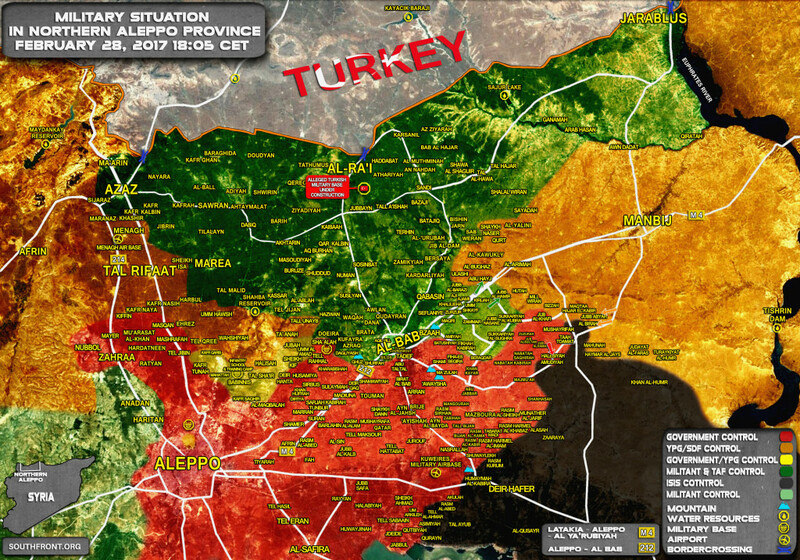 They can if they are supported by USA.If Turkey rolls in,they will lose.I think Turkey will capture Arima and stop.Not going for Manbij city.And SAA can advance but they need more manpower.Cant another Tiger Forces be created. I will say again Syria needs manpower.Get it from China.Max 2 months Syria will be free of ISIS. I cant see ISIS is the mainproblem at all. They are eroded down every day. Its Turks staying and who`s be leaders of Syria as well as how to manege the kurdish taken possetions. Xi is too busy trying to roll Uncle Un, he won’t help the SAA, so he’s got 1.3 billion mouths to feed, he won’t achieve much that way, Israel has been hegemonic world leader for all this time since JP RC took out the SU why not give Uncle Un a go ?, Xi should be ashamed. Deal or no deal with Erdogan, the SAA needs to retake control of the M4 highway and prevent the Turks from taking Manbij.